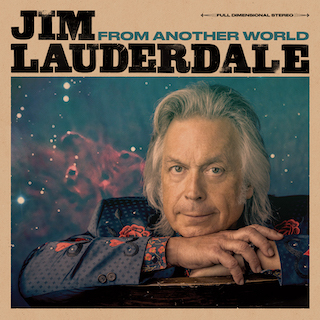 Jim Lauderdale announces new album – From Another World – available for pre-order now! Two-time Grammy winning Americana icon Jim Lauderdale returns with From Another World, a ten song collection of empathy, love, forgiveness and humility, an antidote to the anger and divisiveness of today’s world. McCartney-esque melodies, Dylan-esque lyrics, bluegrass, and twangy psychedelia collide on From Another World. Jim has once again opened his heart wide and delivered a beautiful record where country music still cries with the sound of pedal steel guitar and beautiful lyrics flow through aching indelible melodies. His song “Secrets of the Pyramids” premiered at Rolling Stone Country. From Another World is available for pre-order here. Jim Lauderdale: Two New Releases OUT NOW! New Jim Lauderdale! Pre-Order “Time Flies” NOW! Yep Roc Records Welcomes Jim Lauderdale!